Are you passionate about programming or you want to make your career as part time Web Designer or full time full stack developer? But the problem is your are thinking about how to learn web design or web developments and which is the best institute or resource to learn Web design or Development. And the most and biggest problem is "Funding", so we are here in our blog to give you the right and best free resources to Learn Web Design and Developments. If you want to Earn money by doing some simple work Click Here to read more. First of all we would suggest you to go W3shools.com and then go to Learn HTML section get some basic idea about website structure and coding syntax. after you get some idea and do some little bit of practice coding, now you need a good teacher to tech you the right way to learn code in a simple way. So here we enlisted some good Youtuber's, who has a great teaching and coding experiences. So to know them stat reading our blog without skip. We choose this first because it is most great channel where you can learn any programming language, This channels has more than 4000 videos on programming and much more. This would be a great channel for learning Web Design and Development. Team Treehouse is a great channel to learn web design and development, this channel has over 200k subscriber and over 400 videos on their channel. You should have to check this channel to lean programming. If you want to learn Webdesign this is a great channel (Dev tips) for you. Travis Neilson ( Who is a Google employee) will teach you deeply to increase your Web design skills. This channel has almost 293k subscriber and the best part of this channel is the best resource for learning CSS. Mike Locke is an UI/UX expert and a great teacher to tech you Website Design and User Interface. He has more that 77k subscribers and over 200 videos on his channel. Definitely you should watch his channel to learn Web Design and Front End Development. The best part of this channel is this channel is the best to learn HTML & CSS in a significant way. You can learn the details of Webdesign. You can also learn SASS PHP and Photoshop as well. Our tips: You can't lean Web Design or Developing just watching Youtube Videos. 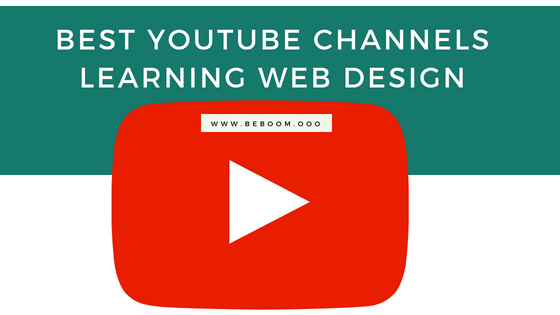 To learn you have write code everyday what you have watched in those youtube channels, So achieve a great career on Web Design you have to watch learn and code. If you get this Blog post helpful for, just leave a comment below.